Angelenos lead the nation in the creativity and diversity of our architecture, our fashion, our tech. So, why do we continue to dump fertilizers and pesticides around our homes in a desperate attempt to look like one another? To look like suburban Ohio? We can do better! 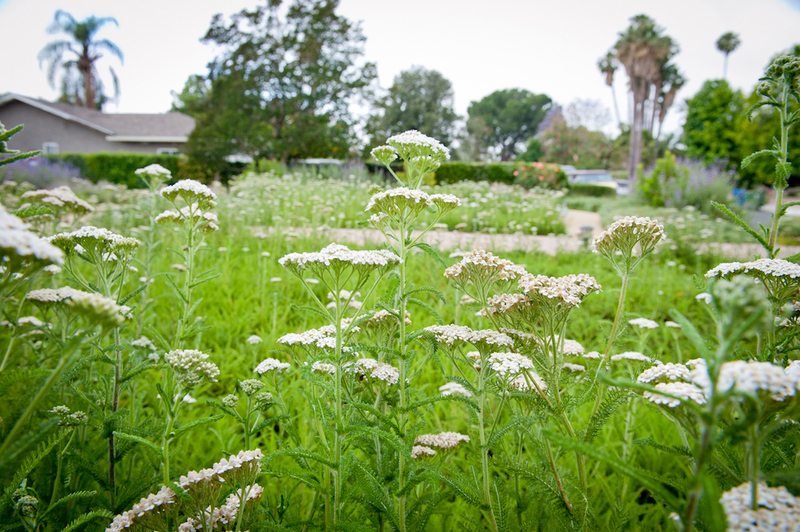 There are few lawn alternatives more visually arresting and flexible than California native Yarrows (Achillea millefolium). 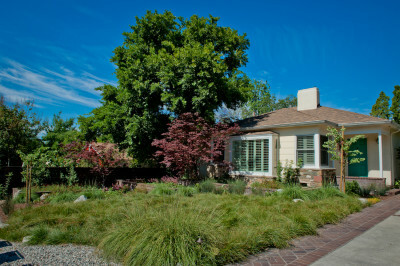 We find its aesthetic an optimally compelling complement to natural and classic landscape styles. When left to grow to meadow length, Yarrow produces delightful blooms that appear to dance in the breeze. In addition to the white blooms featured here, Yarrow blooms come in bright yellows and pinks to deep reds. 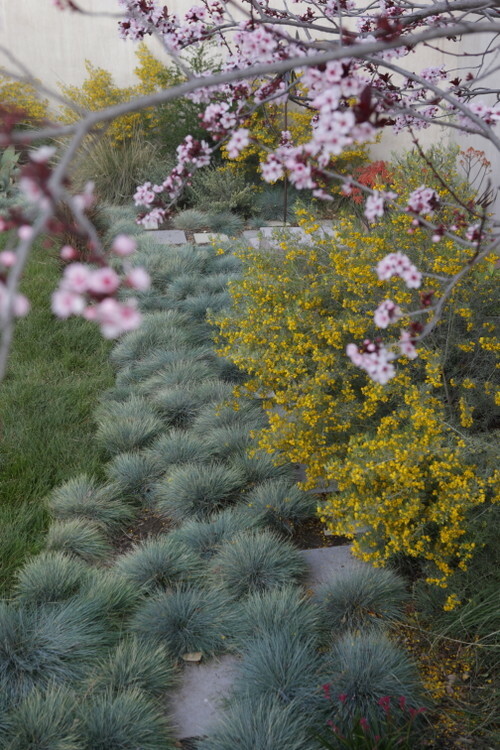 Each variety also has a distinctive foliage color, some a yellow-green similar to a traditional lawn, others a distinctively California silver. As a mowed lawn, Yarrows create a feathery, soft look, and its foliage, whether true or silver-green, maintains its color year round. Carex Pansa is hearty enough for foot traffic and play. 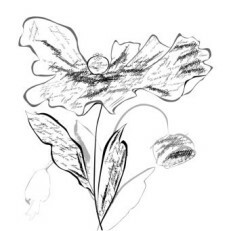 It thrives in the high heat of the foothills as well as in coastal cool. It mimics a traditional lawn when mowed, but it is also attractive at meadow length. When mowed, Carex Pansa maintains a traditional yellow-green color and mat-like texture. When left to grow, it forms waves. In the photo here, it is paired with Deer Grass (Muhlenbergia rigens), which adds additional height and texture. A silver meadow can be created with Blue Sedge, aka Carex glauca, Because most silver grasses are mounding and planted in plugs, it is possible to create geometrical patterns for modern designs.